Title: INTELLIGENCE REPORT STATES U.S. ATTACK ON SYRIA MAY BE "IMMINENT"
Subtitle: "Israel will also get hurt", warns Syria. "The burden of Damascus. Behold, Damascus is taken away from being a city, and it shall be a ruinous heap." 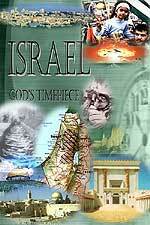 Isaiah 17:1 -- Is this prophecy about to be fulfilled in your Daily News? "Members of Saddams regime in their thousands were pouring out of Baghdad and Saddams last strongholds of Tikrit, Samarra and al Ramadi and heading for the Syrian frontier and Damascus. DEBKAfiles intelligence and military sources report that Syrian military intelligence teams waited on the other side of the border, sorting the fugitives into groups and moving them on. Most high officials and officers were directed to Damascus and the Mediterranean towns of Latakia or Tartous." From the beginning of the Iraq war, American officials have been warning Syria to stop assisting Iraq in the war effort. Our forces noted the following assistance Syria was providing Iraq, even though she was putting herself in harm's way by doing so. 2. Syria was organizing and supporting Palestinian volunteers who wanted to go to Iraq to help fight the Americans. An F-15 fighter-bomber destroyed a bus carrying about 30 Palestinian volunteers by firing a missile; the bus was still on Syrian territory at the time of the attack. President Bush, Secretary of State Powell and Defense Secretary Rumsfeld all have made public statements warning Assad that he had better stop Syria's assistance to Iraq, or face the consequences. Today, this DEBKAfile Intelligence report makes it quite clear that Assad has no intention of backing away from his assistance to Iraq, as he harbors Iraqi government officials. Let us now continue to review this most interesting report. "US special forces sped to the Syrian border exits to try and stem the outflow, a mission well nigh impossible, given the winding, porous 500-km frontier ... Our sources quote witnesses who saw a long line of black armor-plated limousines with Iraqi number plates driving into Damascuss Al Maze and other military airports in Syria. They could not tell if the limousines were collecting Iraqis coming in by plane or delivering top Saddam officials to special flights leaving Syria. The safe and assisted passage of thousands of Saddams top men into Syria evoked yet another stern warning from President George W. Bush in Washington Sunday, April 13." Even though Syria knows that she is no military match for either Israel or the United States, her leaders continue marching down a path that, if war actually does break out, could mean her annihilation. Therefore, you would expect Syria to back away at the last moment, thus averting war. However, if we are actually at the End of the Age, sanity will have nothing to do with events leaders will cause. Leaders will take action that will seem insane, because any observer could tell them that their action would result in the annihilation of the entire nation. Certainly, if Syrian President Assad were sane, he would have immediately ceased all assistance to Saddam when Bush and his officials demanded he do so last week. And, if sanity were the ruling factor, Assad would not then allow all these Iraqi officials into his nation, apparently with some degree of enthusiasm. Do you know why sanity will not figure into calculations of national leaders during the time of the Day of the Lord? Leaders will act in exactly the way God needs them to act in order to fulfill His prophecies. This verse, above, tells us how the final leaders will act in harmony to fulfill Seal One -- Revelation 6:1. National leaders will take the actions necessary to fulfill God's many End Times' prophecies, even if the action will result in their destruction. Now, the question is, how will these leaders be persuaded to act in such a manner that will result in their annihilation, when any number of people could have foreseen the destruction in plenty of time to warn the leader of the extreme dangers of the action he is contemplating? Did you know that the demonic host has a particular type of demon that floats through the air as a green orb; when it comes to a person whom it is to possess, it floats right into the mouth of that person. Once the person is thoroughly demon possessed, the green orb leaves behind demon(s) inside the person and comes floating back out of that person's mouth! Thus, this verse accurately describes a real, and a powerful, demon! We now need to go back to one more Scripture to gain the full understanding. Thus, each nation whom God has selected for End Times judgment, will come "continually, in turn" to drink of His wrath; and, the demons shall bring the leader of each nation to the area where God has selected for them to be destroyed. Individual leaders will have no choice, for they will suddenly be seized with a demonic idea that he will not be able to resist! The demons are doing God's bidding, just as Revelation 16:14 states! Therefore, do not assume that a leader of a nation will not attack because he knows he will be annihilated; the fact is, the demon host whispering in his ear will be telling him of the great victory he is to achieve and the great honor he will receive after the battle. Nation after nation will come into God's physical destruction in precisely this manner. Syria's President Assad could very well be hearing the false assurances of the demonic host in his ears right now. Let us now return to our feature story. "The catalogue of serious Syrian offences thrown out by Bush and his team in less than one day reads ominously like a final warning to President Bashar Assad ... in addition to rescuing Saddam and his minions, is working with a will to de-legitimize the American war in Iraq and make sure it can never be justified. He is trying to achieve this by placing Iraqs entire chemical and biological weapons arsenal in a safe repository, also placing the scientists and officials employed on Iraqs unconventional weapons programs out of reach in hidden locations. In this clandestine operation he was almost certainly assisted by Russian and French intelligence services, who share Assads ambition to deny the United States any proof that its war on Iraq was just." If President Bush is successful in his new policy of invading countries to force a "regime change", he will be implementing National Sovereignty authority as the President of the United States. However, the Illuminati has created World Wars I and II to bring a global government into existence, and has worked very hard in the 58 years since the U.N. was created to force all sovereign governments to give up their individual sovereignty in favor of a global U.N. hegemony. Therefore, if Bush is successful with his goal, he is likely to destroy everything for which the Illuminati has been working these 88 years, since the beginning of World War I. Since President Bush is thoroughly Illuminist, and since he and his father have based many of their actions upon U.N. resolutions, we cannot conceive that Bush would be out to destroy the credibility of the United Nations. Therefore, Bush's action must be planned to fail to achieve its goals; a very bad failure, resulting in a world war, would so solidify the "advice and counsel" of the United Nations that people will rally to it enthusiastically. For this reason, we believe Bush is not intended to fully reach his stated "regime change" goals in Iraq and elsewhere. Given the tremendous disparity of facing the U.S. military machine, and the incredibly powerful Israeli Defense Force, prudence would dictate that Syria immediately back down, shuffling off to a corner to whimper. However, Syria came up fighting! "Syrian Foreign Minister Farouk Shara warned the U.S. yesterday that if it decided to attack Damascus, Israel would also pay ... Shara denied reports and accusations that Syria has granted shelter to escaping Iraqi officials from Saddam Hussein's regime. 'The Americans know very well that this is baseless ... We tell them, `show us the evidence,' said Shara." Of course, this line of reasoning is also useless, for it is the same reasoning Iraq continually put forth, even as American and British forces were gathering to attack him; Senator Byrd, D-WVa, had the courage to step up while we were at the brink of war, to complain that we had never firmly linked Saddam to 9/11, nor to al Qaeda, nor had we proven any charges that he actually possessed Weapons of Mass Destruction. Therefore, Syria should just learn the lesson espoused by North Korea: inspections are worthless and lead a country to invasion. North Korea further stated that the Americans are going to attack anyway, despite the complete lack of verifiable evidence. Syria is an Arab country, and as such, hates Israel. Just last week, President Assad stated that the nation of Israel had no legitimacy, and never would have any, so the struggle must continue until Palestine is liberated. Since Assad is Arab, he would rather die gloriously fighting the Jews of Israel, instead of dying ignominiously fighting the infidel Americans. Thus, if he knows he is going to die fighting Americans, he very well could decide to die gloriously, fighting the Jews! The key is probably to attack Israel before America attacks him. ISRAEL WARNS SYRIA: "DON'T PLAY WITH FIRE"
As soon as Assad's comments were received in Jerusalem, Israeli officials had a few choice words in reply. "A top Israeli official on Monday warned Syria not to 'play with fire' after Syrian Foreign Minister Faruq al-Shara made a strong anti-Israeli statement amid strains between Washington and Damascus. 'Israel is not looking for an escalation with Syria but Damascus is playing with fire by threatening us with its terror arsenal' ... We warned Syria against the temptation to attack us during the war in Iraq. That would be an even greater mistake for them after the victory of the coalition" of US and British forces in Iraq ... Shara said Sunday that if the United States decides to attack Syria, Israel will also be harmed." If the US is going to attack Syria, she had better do so now, with all her forces in the region. She certainly cannot afford to ship all that war materiel back home, and then decide to attack Syria. This talk of "sanctions" to force Syria to discard her supposed Weapons of Mass Destruction is just soothing talk to hide the ominous planning for war. Also remember that sanctions have never worked; it is a demonstrably failed tactic. In the meantime, the far more formidable Iran looks over the region, and can see herself in Bush's crosshairs; since the Iranians have recently upgraded their military so it could fight the Israeli Defense Force, Iran will pose a very huge problem. Saudi Arabia is also looking over developments carefully, weighing her options, and hoping she can use her nuclear-tipped theater missiles before they are destroyed. We have seen an surge of fighting in Afghanistan, to the point where we have had to send in reinforcements. We should also look to Azerbaijan and even Pakistan for additional fires to explode; interestingly, the Iranian Foreign Minister paid a visit to Pakistan shortly after this article ran in The Jerusalem Post. Perhaps Pakistan is one area in which "many fires are lit" to oppose the Americans. Isn't this exactly the strategy Saddam Hussein employed in Iraq? Except for some battles in the southern portion, Saddam ordered his forces to fight just enough in order to draw the Americans deeply into the swamp, at Baghdad, and possibly, Basra. While we are celebrating our "glorious victory" and congratulating our generals and politicians for a "brilliant campaign", the Arabs might be getting read to unleash Act II upon our heads. 2. A resurgent Saddam Hussein with his forces, engaging us in one of two ways: irregular guerilla warfare, or a surprise attack using Weapons of Mass Destruction. Attacking with the latest option in mind, we can only remember the "promise" of April 3, where an Iraqi official said they had a "non-military surprise" awaiting the Americans.